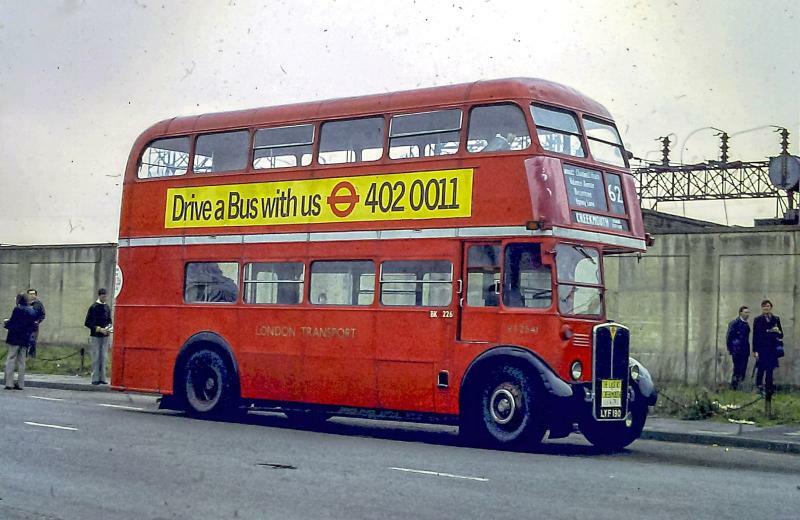 Eighty years ago the first RT bus entered service with London Transport. This was RT1, formerly ST1140, a temporary hybrid of a bus allocated to Hanwell garage on the 18c route. 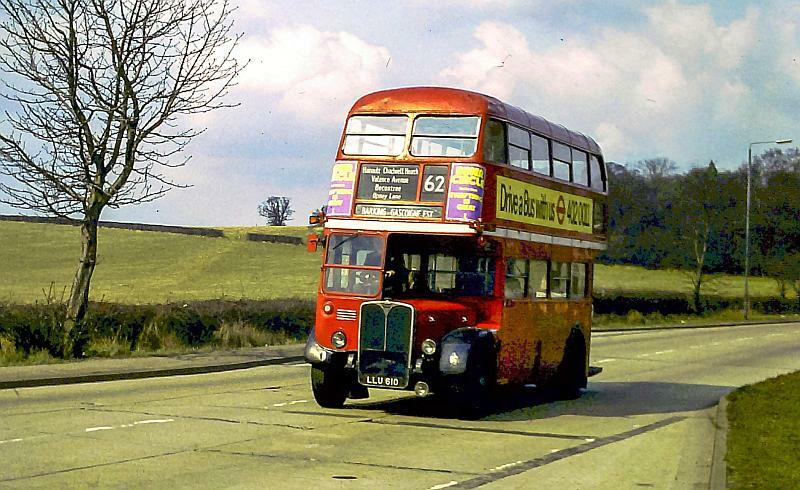 By April 1939 it had a new body and after evaluation was allocated to Putney (Chelverton Road) for Route 22. Over 7000 of these buses were made (RT, RTL, RTW.) 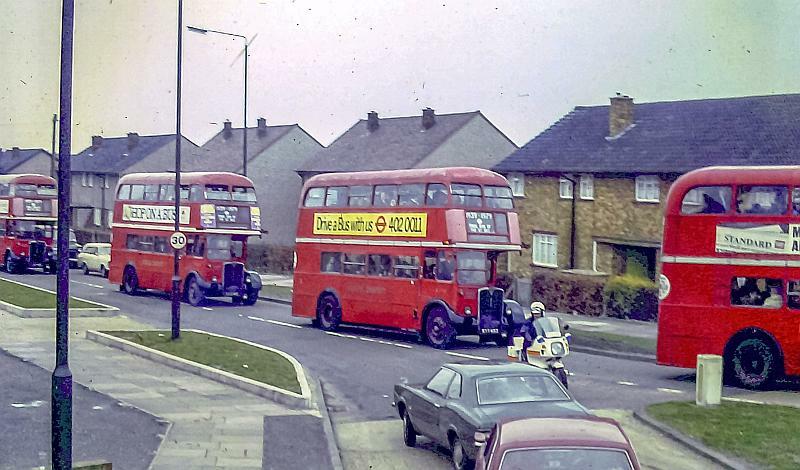 Exactly forty years ago the very last RT buses saw LT service on Route 62. This was a big occasion with hundreds of enthusiasts bidding farewell to these iconic buses. This is a special post with a number of full colour pictures from the final week of operation as well as the last day itself. 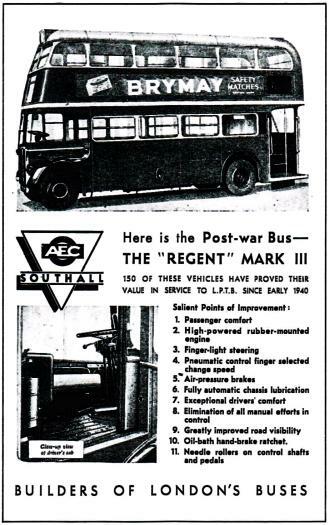 1940s AEC advert for the new RT bus. Some claim RT meant ‘Regent Three’ but that’s not the case. 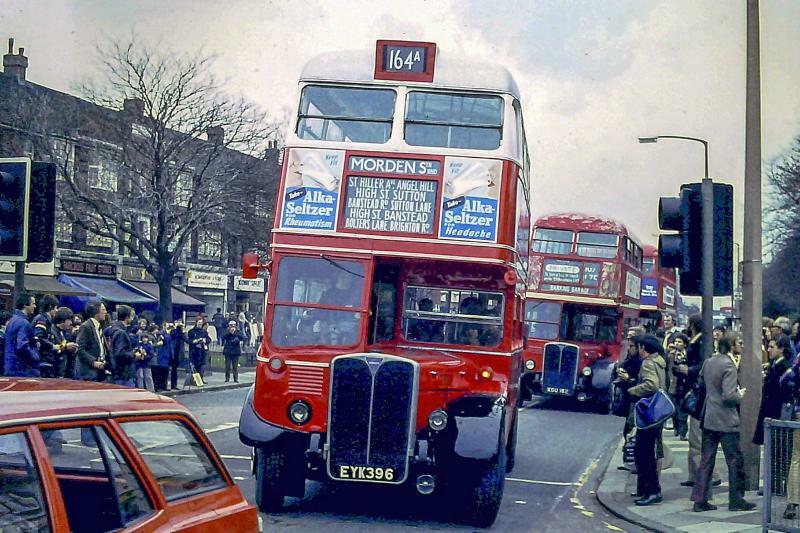 Though I know the bus services the RTs used very well – we used these as well as other local services including the 86, 123 (which we regularly took to Winchmore Hill) 129, 145, 148 and 25 (the latter for most journeys into Central London and mostly roofbox RTLs.) The photographs shown here were scanned from a large batch of London Transport/London Country slides I had bought perhaps thirty or more years ago. I didnt take bus photographs in the sixties or seventies – having a more vested interest in the tube, or as a kid the 15 inch gauge railway/paddle steamer at Barking Park! 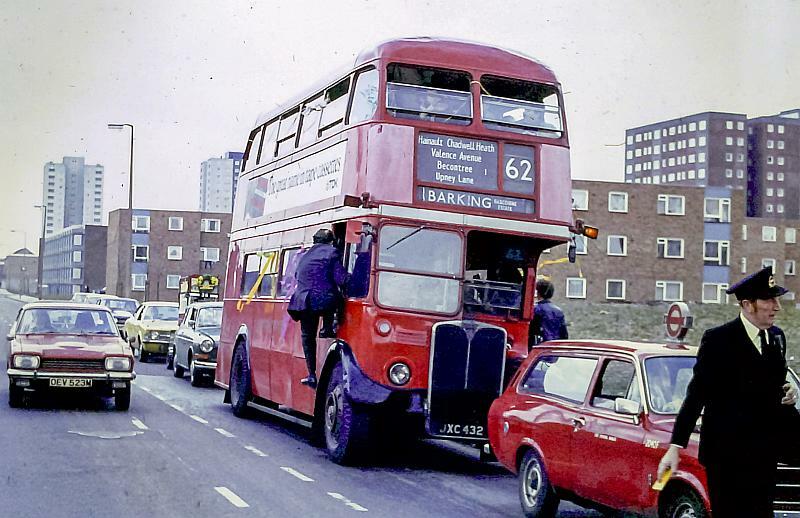 In terms of the very last services being worked by RT’s towards the end of 1978, until late in that year Barking garage managed to squeeze in one of their RT’s for use on the N98. These were said to be the last ever RT duties on LT’s services in Central London. The N98 with one of Barking’s RTs! 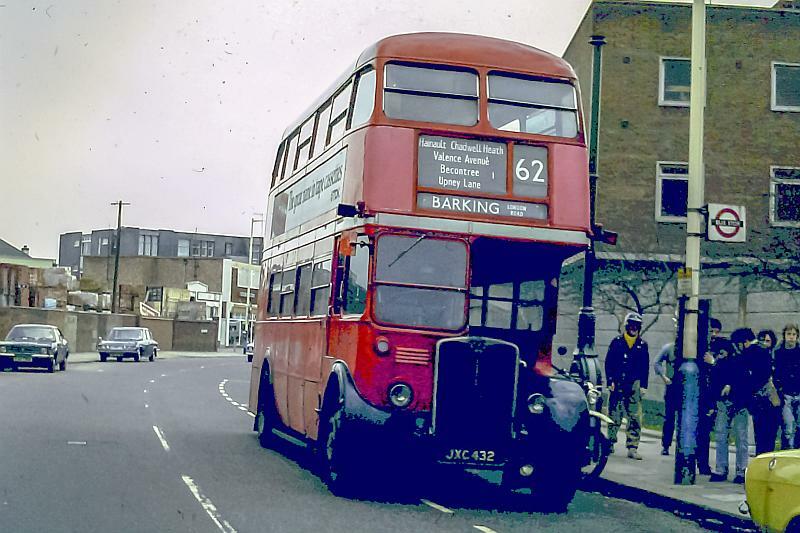 In the same way the N98 was a occasional user of RT’s, the other route which was also managed by Barking garage was the 87. 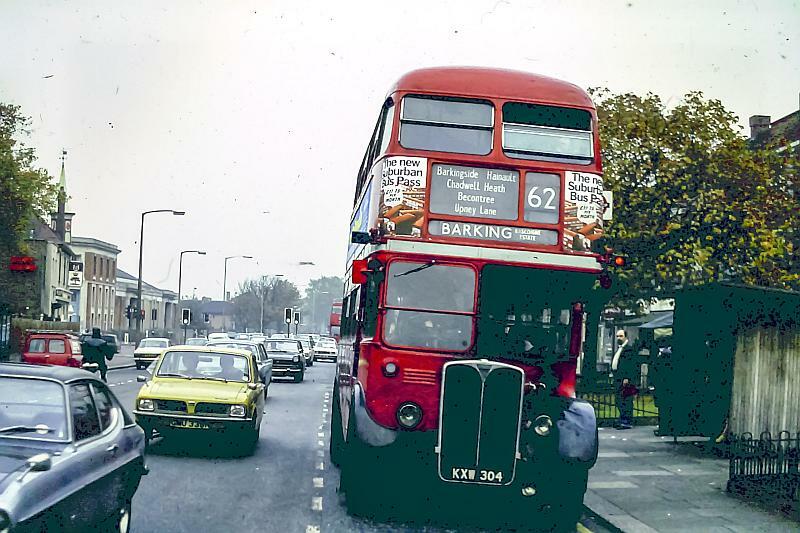 This was the penultimate RT route in London until 28th October 1978. Nevertheless from time to time RT’s still found their way onto the 87 when a shortage of RM’s occurred. Its not exactly known when RT’s ceased altogether on both the 87 and N98. 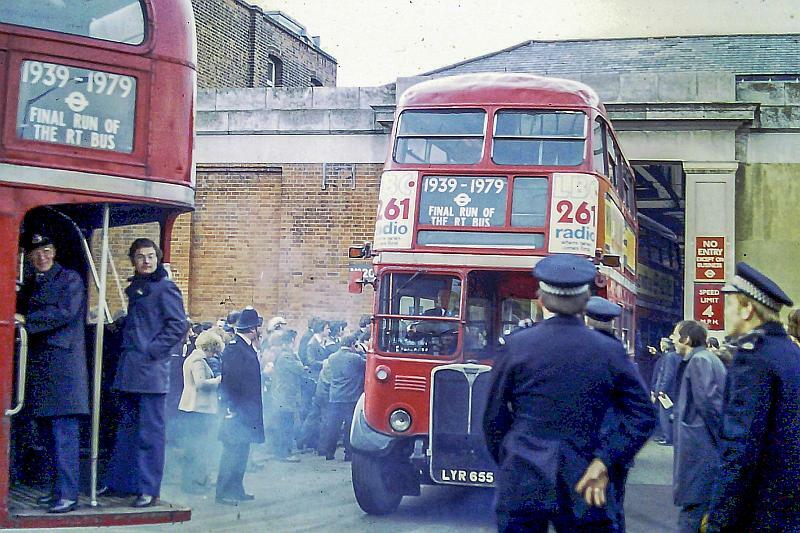 As the 62 stands, most bus historians will know it was the last ever London Transport route to use RT’s (notwithstanding the quirks in bus privatisation.) The date was 7th April 1979. 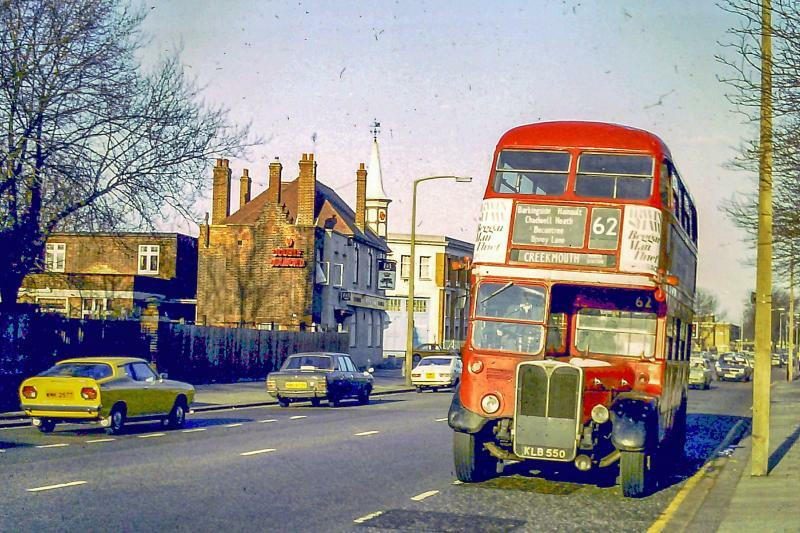 RT’s eventually returned to occasional work on the Barking area’s bus routes (and eventually many other London routes) by way of tendering. One hugely successful bidder in terms of deregulation was Ensignbus who won some of the early routes to be tendered. These were the 145 and later the 62. Their bright blue and silver liveried RT’s were introduced on both routes, starting with the 145, which I rode the very first day the RT ran on it and again on several of the other services over the next few weeks. The exact first date I’m not certain of but it was December 1986. Leon Daniels (whom everyone will know as TfL’s transport supremo) was in attendance (at the time Ensign’s fleet manager I think) and John Burch (one of Ensign’s supervisors) was the conductor on those early runs. Although I have a good number of photos of the 145 and the 62, this one is the only one I can immediately find. Its not the first day of operations and its a bit murky however it shows Ensign’s RT at Dagenham New Road in December 1986. As Christmas itself approached they ran their RT on the 145 complete with balloons, garlands and festive lighting! There was more to come however. 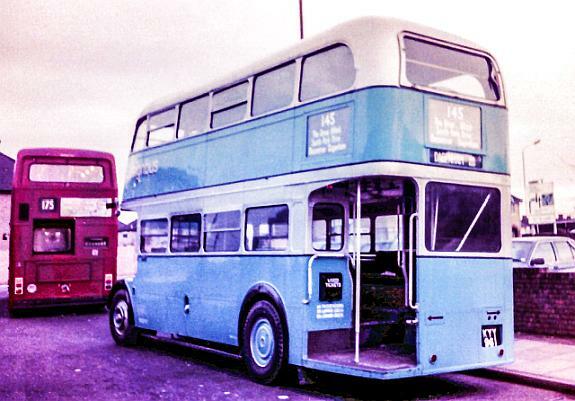 The 62 itself was won by Ensign on 17th January 1987 and of course their blue RT soon featured on that route too – just eight years after those final emotive RT services! The reason for the RT’s remaining in service long beyond the planned withdrawal date was due to the bridge at Chadwell Heath. 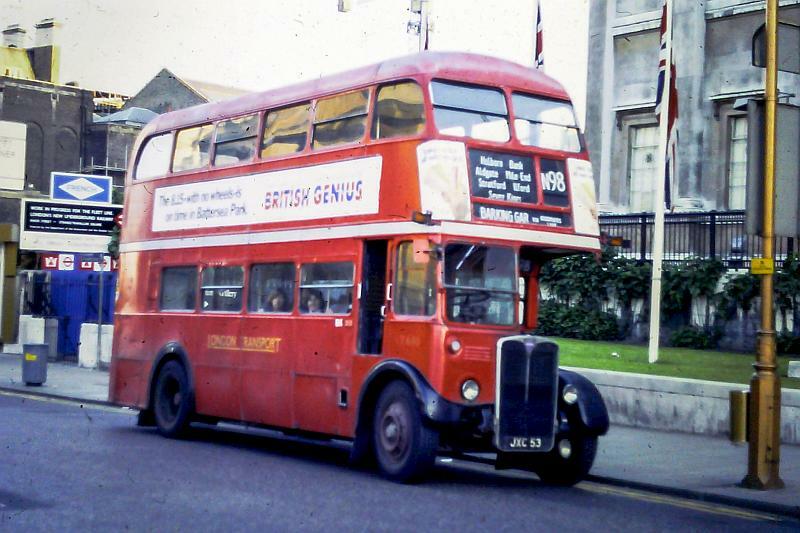 That needed alterations before it could accept the wider Routemaster or DMS buses. 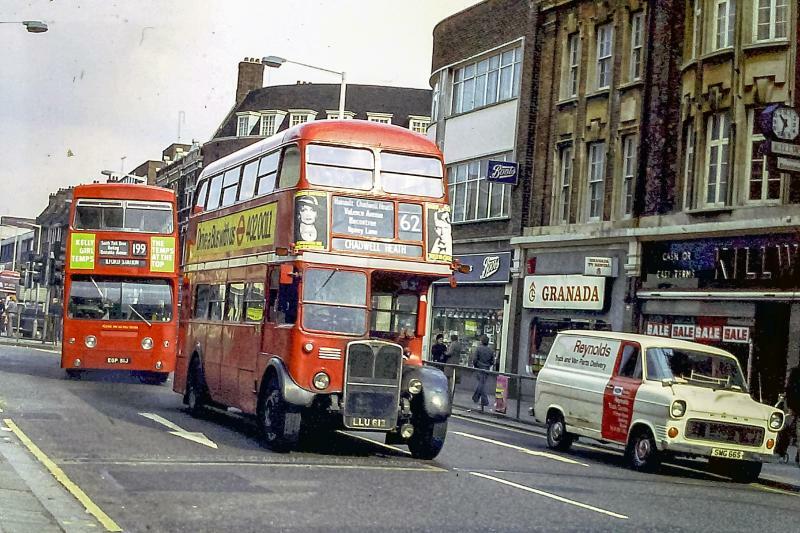 Thus the older buses had to be kept in use. 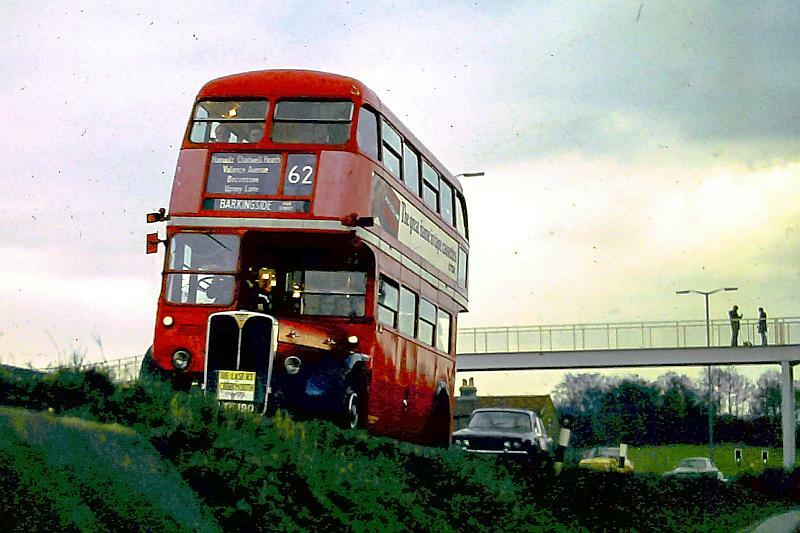 The first edition of the 1979 London bus map. I outlined the 62 route with black to show it more clearly. Originally the last day was to be 31st March however it was moved to the 7th to avoid a clash with the last RF services and subsequent celebrations in the Kingston area. 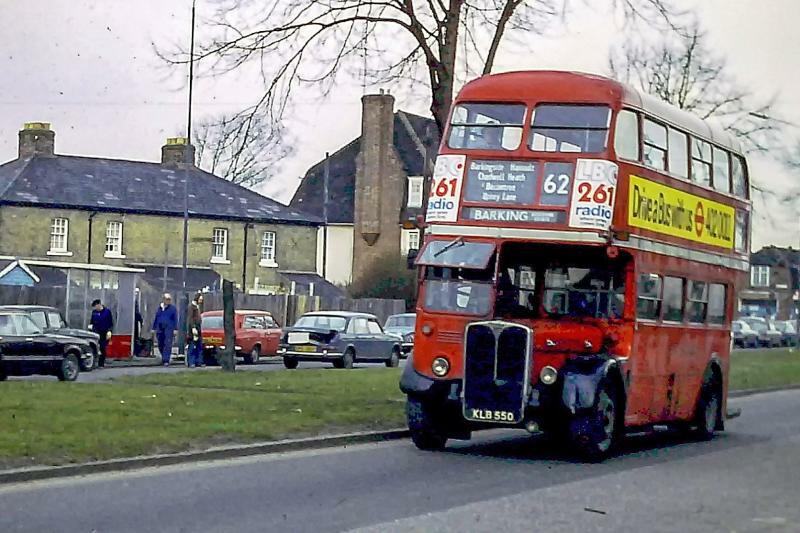 My slides also consist of celebrations covering the last RT’s in the Kingston area, however the 62 was one of my local routes so I decided to focus on this. 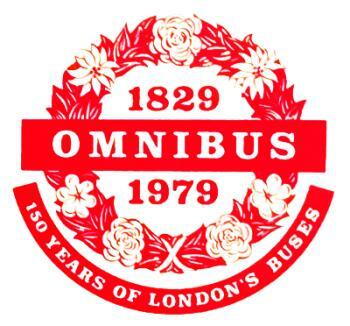 That very year was also London Transport’s own big 150th anniversary celebration of its buses – and the very end of its RF and RT services too. London Transport celebrates 150 years of its buses – and kills off both the RF and RT! The week began with the last services to Creekmouth power station on 1st April 1979. This was a Sundays only service. An earlier and unspecified date saw RT1301 in Longbridge Road ready to work a Creekmouth service. The very last RT (2541) at Creekmouth power station, hence the commemorative notice placed on the bus radiator. 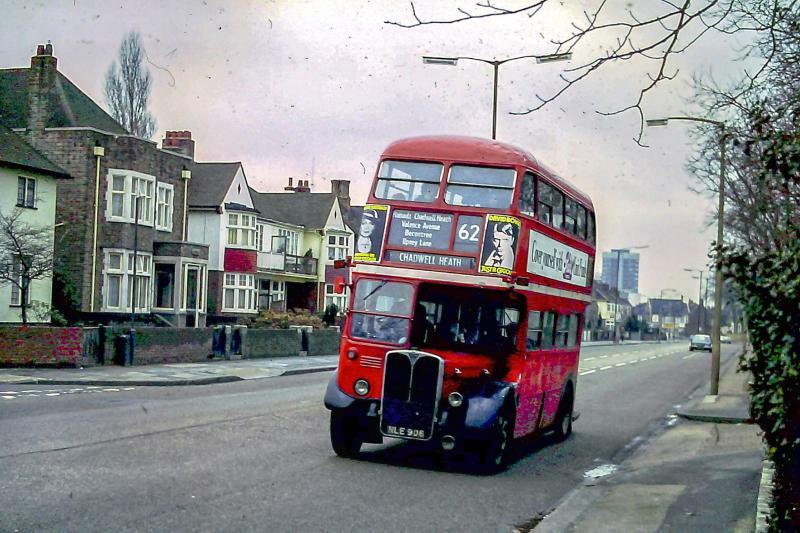 The same bus en route from Creekmouth to Barkingside. This is at the footbridge by Hainault Country Park. 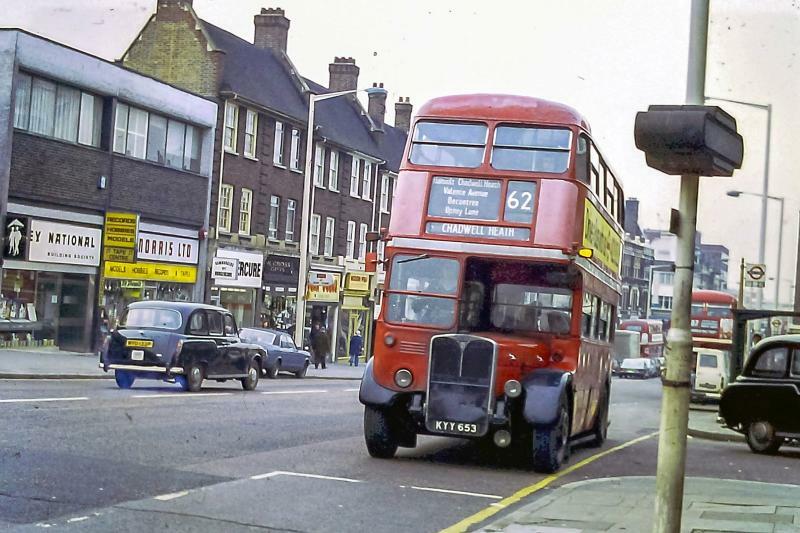 The 62 route was very long and stretched from Barking Gascoigne Estate to Barkingside High Street, almost doubling on itself at one time when it extended right down to Ilford station. The 62’s route as detailed in the 1st edition of the London bus map 1979. RT624 at Chadwell Heath station. RT1301 in Valence Lane (the Scottes Lane stop is on the other side) heading southwards towards Gascoigne Estate. RT3016 running alongside Barking Park heading for Chadwell Heath. Most 62s worked to Chadwell Heath, probably just half the services continued to Hainault or Barkingside. 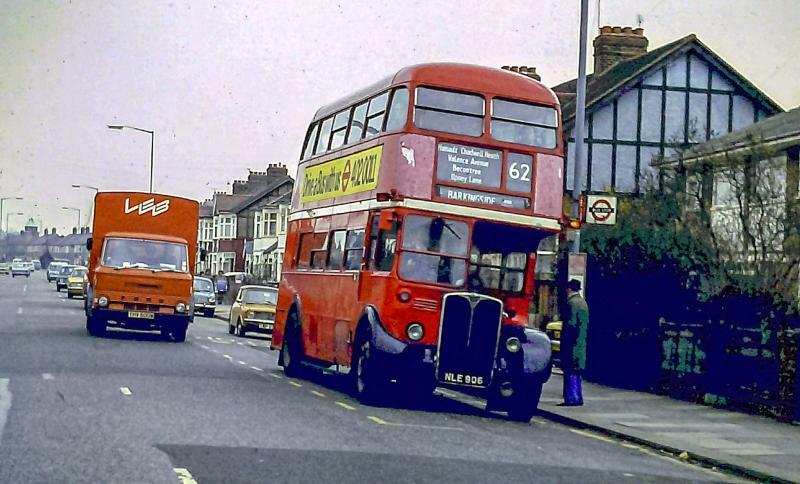 This is RT1655 in Barking where it is about to turn short and head in the opposite direction to Chadwell Heath. This bus is not in the list of RTs to work the last week of the 62 so the picture may be a few weeks earlier. RT1658 in Longbridge Road. Barking garage can be seen in the distance. Another bus that did not make the final list of twelve RT’s. 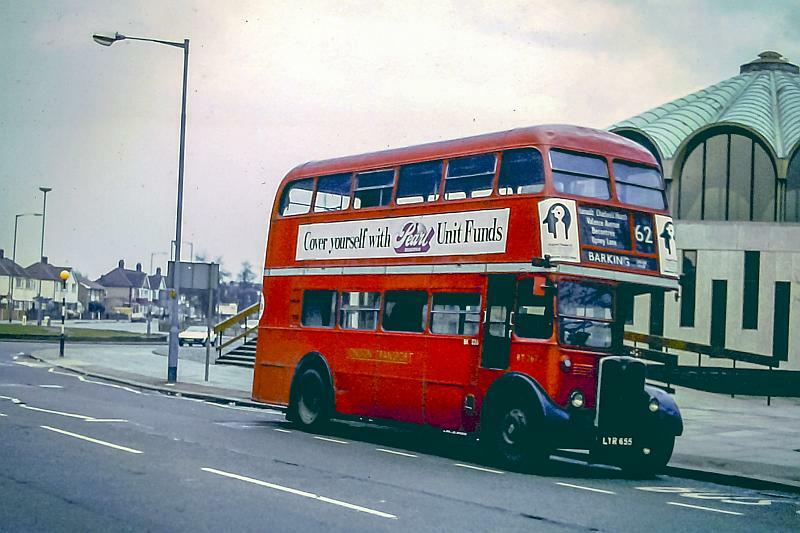 RT1798 ascending the ramp to Barking station on a Chadwell Heath run. 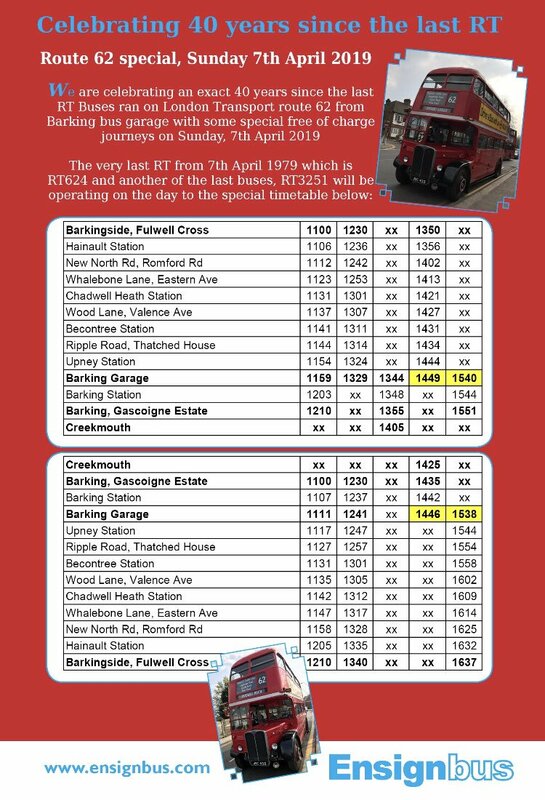 On the last day itself the RT’s worked in public service until about 11am, with the very last service being the 11.30 round trip from Gascoine Estate and back to Barking Garage. The RT’s used that morning were 624, 1301, 1790, 2240, 2541 and 3016. The lowest numbered (and the oldest in the fleet) 624, was entrusted with the very last round trip on the 62. RT624 arrived back at Barking Garage somewhat late at 1.45pm to much fanfare from enthusiasts and onlookers. RT624 at Gascoigne Estate on the final round trip from there. It will soon depart for Barkingside. It is full of well wishers and decorated inside with streamers and the likes! RT2671 emerging from Barking garage for the parade run in the afternoon of 7th April. The much advertised RT cavalcade was yet to begin. This started at 4pm and took two hours. Seats were £7.50 each. Although it is reported that each bus was fully subscribed with many not even able to get a seat, some of my pictures show at least two buses in the convoy with barely anyone on them! These were probably acting as standbys, in case anything went wrong, which it nearly did when RT2671 almost broke down near Hainault Forest. 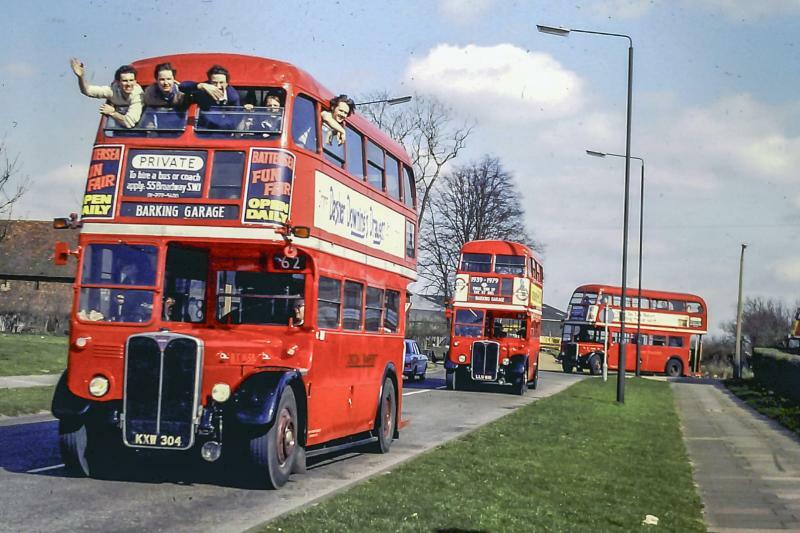 The buses started out with their blinds set to blank however later in the journey most had these set to Barking garage. RT 2541 which did the final Creekmouth power station journey, is the bus seen in the middle of the convoy. As noted most had blank blinds to begin with. The convoy is seen turning from Whalebone Lane into Rose Lane en route to Mark’s Gate and Hainault. 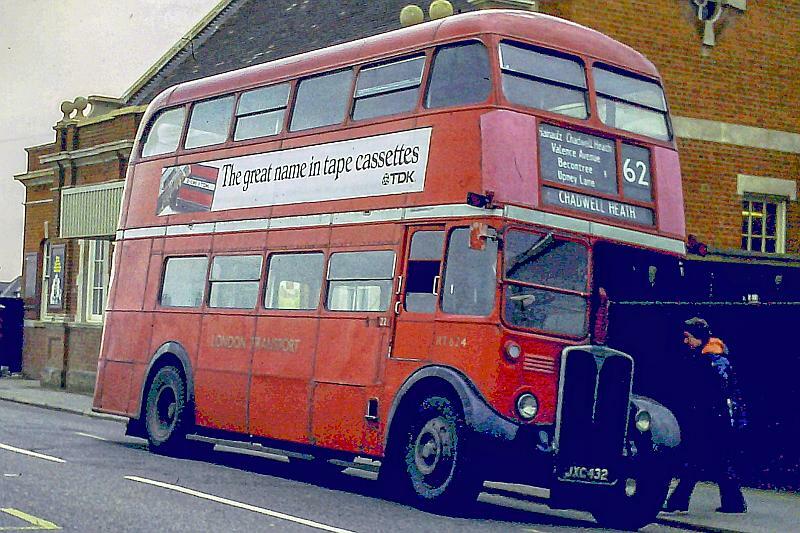 The original RT bus! 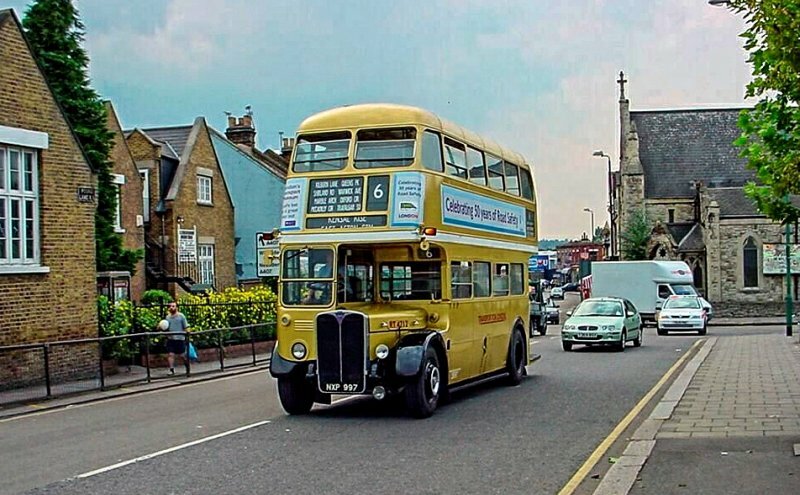 The restored RT1 leading the final part of the cavalcade which culminated in a photo parade at Barking Town Hall. Previous Post: A nip in the bud?